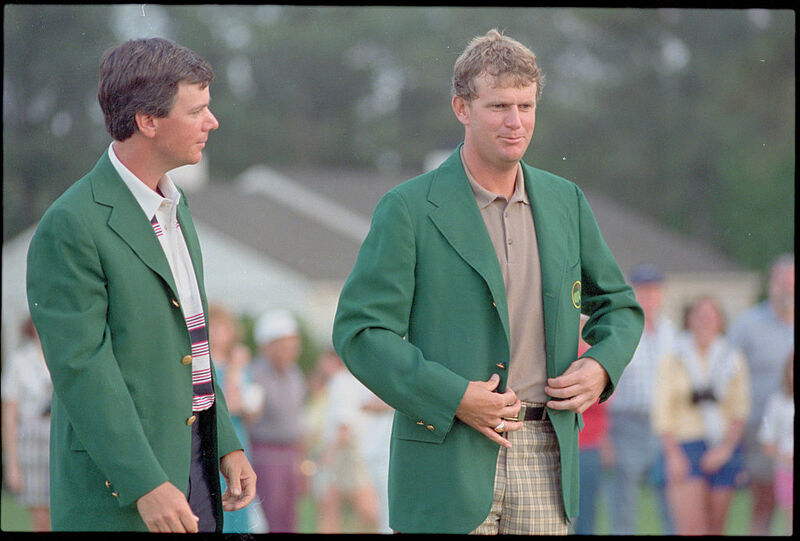 Sandy Lyle re-lives 1988 win, his solo party, a brush with the law and jousting with Jack. Sandy Lyle, his 7-iron and a small bowl of milky white Georgia real estate have gone down in history. 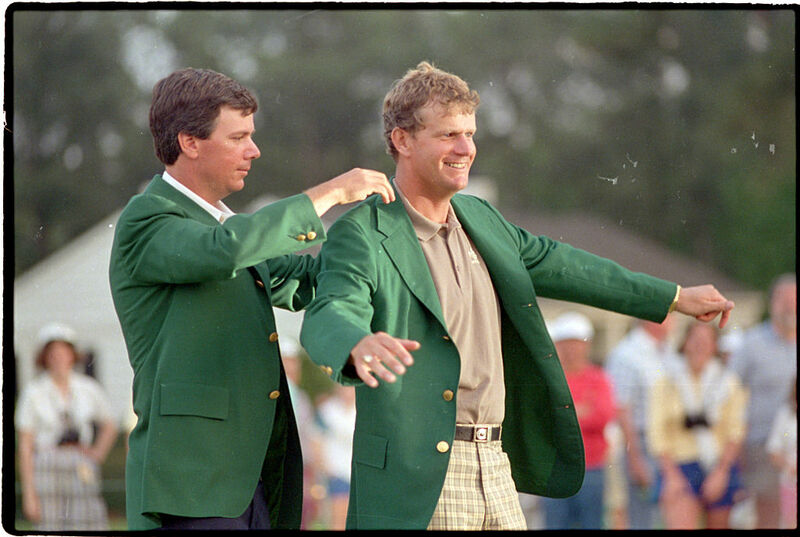 Lyle's shot from the sand to set up Masters victory in 1988 was one of the great moments at Augusta, but one that has since got him into "trouble" with the authorities. 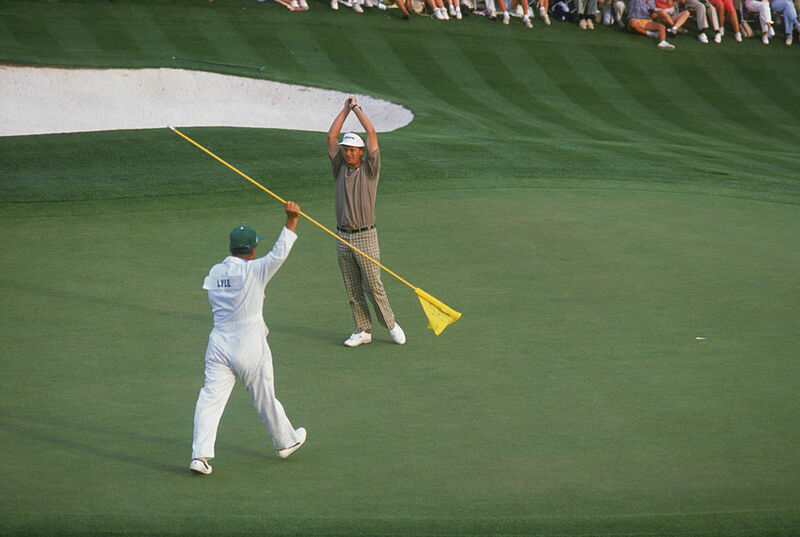 The 59-year-old re-lives the drama of that day, reveals how his celebrations went awry, recalls playing alongside Jack Nicklaus in 1986 and admits to a finger-wagging from chairman Billy Payne. 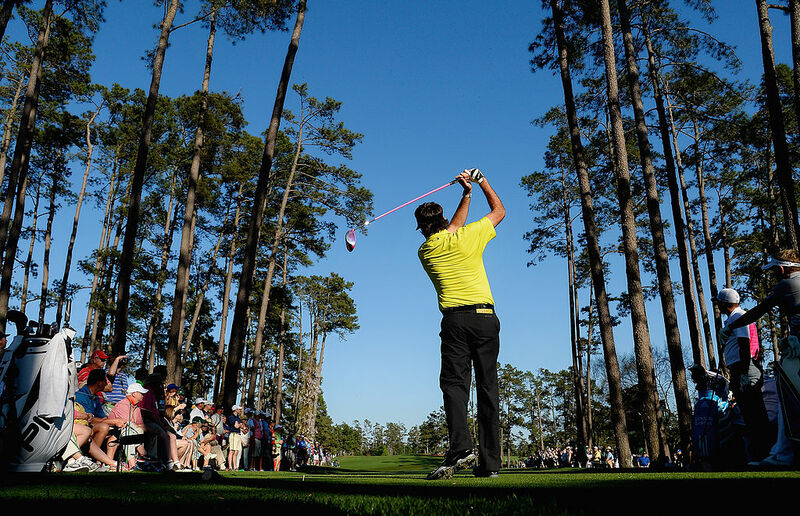 GM: What’s your favourite sight, sound and smell at Augusta? SL: It might seem a bit silly but they have moved the past champions’ car park closer to the pro shop and offices, so literally 20 yards from the clubhouse. 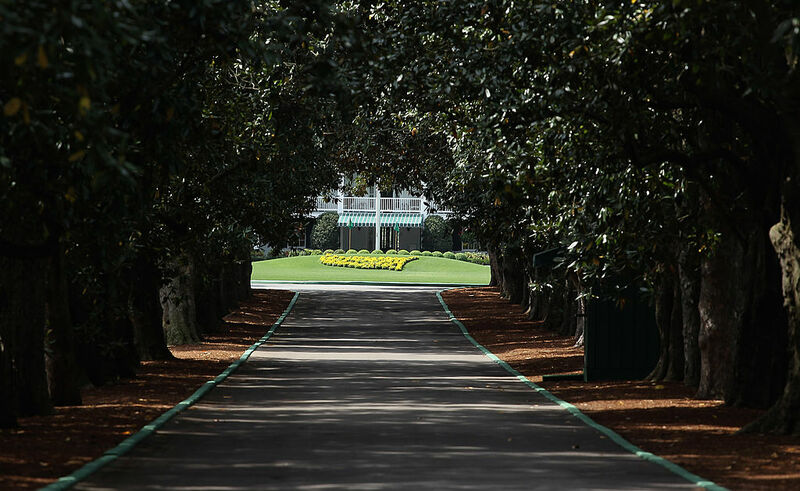 So you drive up Magnolia Lane, make a right and park right there, it’s a sight only past champions get to see. You kind of scratch your head thinking, ‘This is unbelievable’. There are 100,000 people parked half a mile away and queuing to get in and here I am strolling up as an old country bumpkin and parking right next to the pro shop. Kind of unique, really. The Masters smells different to the US Open. That always has the whiff of onions, hot dogs and smoke, and used to be quite overpowering when it was 90 degrees. At Augusta there is none of that, besides they only serve sandwiches. But there is the scent of the flowers, if they get the timing right, and a strong smell of pine. If you have an allergy to pine dust it’s not the place to be – at certain times of the year there are clouds of it coming off the trees. If there is rain, the smell changes and it can get a bit pongy in places because of the clay soil. The roars of the crowd rifling around the trees are huge. Playing with Jack Nicklaus when he won in 1986 the noise was “quadrophonic”. Jack's eagle on the 15th lit a fuse and got the crowd going unbelievably and they never stopped from there to the 18th. I was one or two under myself but I was just enjoying the moment. It was coming from above, from the side - I think even God was laughing. It makes my hair stand on end. I can almost feel it now thinking about it. Even on practice days there are 30,000 people there tee, and it’s like a match day. At the 16th they always get us to fool about and skim the ball off the water onto the green. Seven or eight years ago I was on the range and there was an absolutely enormous roar, from almost a mile away. I found out later Vijay Singh had skimmed a 3- or 4-iron two or three bounces over the water onto the green, hit the pin and down for one. The roar was massive. How often do you get asked about THAT bunker shot? I had just finished the Champions Dinner a few years ago and Billy Payne waggled his finger at me as if to say come over here. I took a swallow and thought ‘oh no, what have I done wrong?’ I thought I had been behaving myself, and he said, ’ I just want to let you know I take quite a lot of guests on the golf course every year and when they get to the 18th they ALL want to ask about that bunker shot’. It just shows it’s not just me who gets asked about it a lot, even the likes of Billy Payne gets it. I’ve been over in China and you get introduced to certain people and the name doesn’t always ring a bell, but as soon as that Masters name gets mentioned and then the word 'champion' their faces light up. I don't mind talking about it at all. I am the only one to make birdie from the bunker to win so I’ll hold on to that satisfaction. I play a lot of pro-ams on the senior tour these days and that was in their era, they remember the drama of that day like it was two weeks ago. So how did you get to that point? It was like going to bloody hell and back trying to keep a game going. I had led virtually from day one and obviously didn’t want to let it slip through my fingers. I had a two-shot lead after nine, I lost that after doubling the 12th but I kept fighting to the last. You couldn’t write the script better. By the 18th my energy was nearing rock bottom, but looking down that narrow chute of trees, I knew I wanted to get myself down the left side and I was aiming for a par to make the play-off. Making a bogey to miss out would have hurt for the rest of my career. Even the best plans don’t always work out and I found the bunker, but I knew that as long as there was a reasonable lie, there was a good chance to get it out. Then it's just about making the best swing you can. When I holed that final putt from 18 feet I could feel the energy draining out the back of my neck. I could have easily shrivelled into a blob and just lay there for half an hour. I was just totally relieved, and grateful I didn't have to go back out for a play-off. The dance was going to be a somersault but ended up being a flat-footed jiggle. After a million TV interviews I managed to get away for a little while and returned later to have a meal with the members of Augusta. My parents were there and it was quite a joyous night, but ended up slightly disappointingly. My hotel had been noisy all week with a disco and a packed bar and I thought this was the perfect place to let my hair down, see some of my buddies and have a few drinks. So I went down and burst through the door as if to say, ‘I’m here’. But there was nobody there. The bar was completely quiet. Everybody had gone home. I had to wait until Hilton Head the next week to celebrate with some of the caddies and press guys. What is the Champions Dinner like? It is a pretty daunting sight when you first look down the table at this elite group. You’ve got Jack Nicklaus, Gary Player, Arnold Palmer, Seve in the old days. 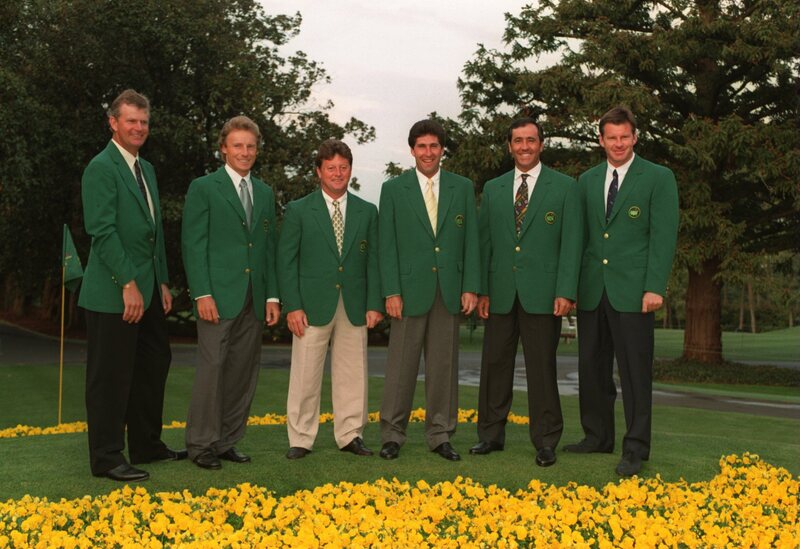 It doesn’t matter if you’ve got one Green Jacket or six, it’s a very low key, informal affair, a get-together of the clan. There is no table plan, you just grab a seat. I used to sit near Byron Nelson to listen to his stories, but now I often sit near Billy Payne with Fred Couples next to me. After I won I wore the Scottish kilt and had haggis piped through and properly addressed, something that had never been done at the Augusta National. I served it as a starter, and the traditionalists such as Tom Watson and Ben Crenshaw understood what it was all about and tucked in. We then had Scottish beef as main course. There might be a couple of quick speeches, and in the old days Sam Snead would tell the dirtiest jokes you can imagine to send us home with a grin on our faces. 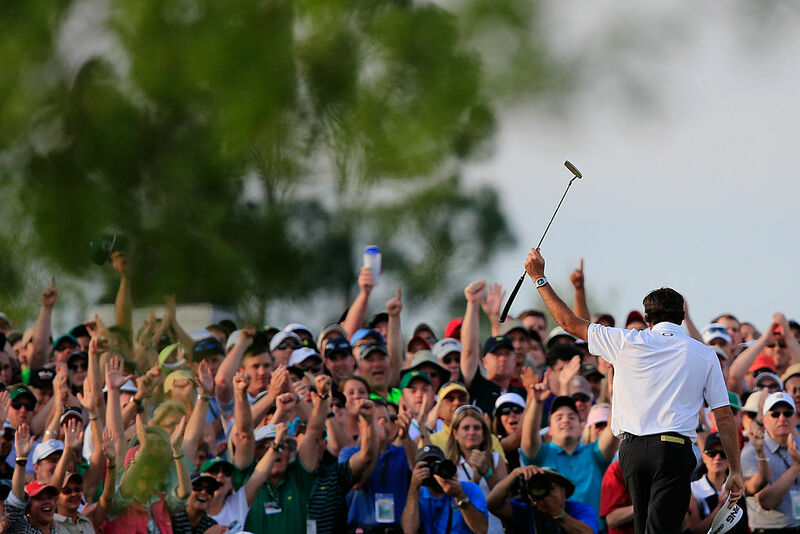 How do you like Augusta National these days? It never lets you down. It’s magic.The setting is quite unique with all this white, milky sand, green green grass, the vulnerability of the course and players being torn apart. That is what gets the imagination going. I still like it very much. The greens haven’t changed very much at all. I liked it in the 80s as well, and it’s a shame the power of the golf ball and the distance some of these guys are hitting it started to make the course look silly. 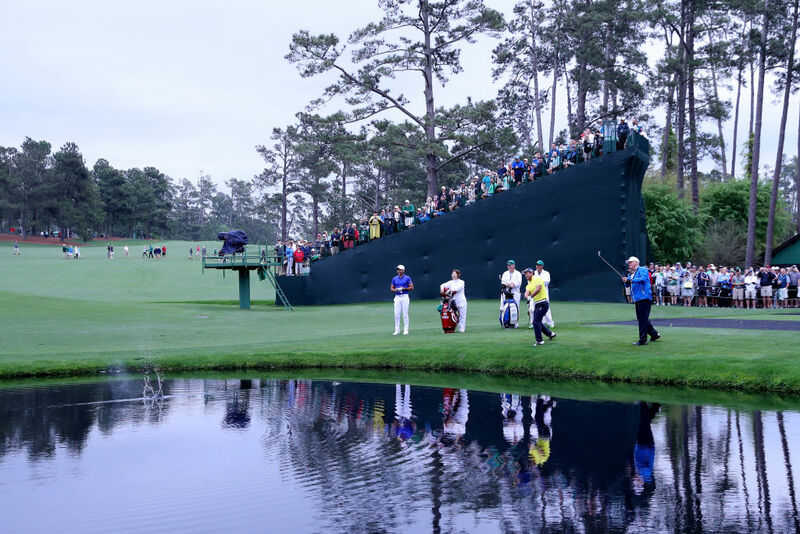 Augusta realised they needed to stretch it out a bit, but unfortunately the first couple of years after they lengthened it and tightened it we had two of wettest seasons and it was playing more like 8,000 yards. It wasn’t very enjoyable. And I’m not a short hitter, even now. It devalued the course and was no fun for anybody, even the crowd was quiet. No-one was making any birdies. But they crunched the numbers and within a few years started shortening holes and moving tees forward and the tournament has come alive again. Could an over 50 win the Masters now? Definitely. Tom Watson was within a very small fraction of winning the Open just shy of his 60th birthday and you can’t call Turnberry a short knockaround course. It’s a brute. 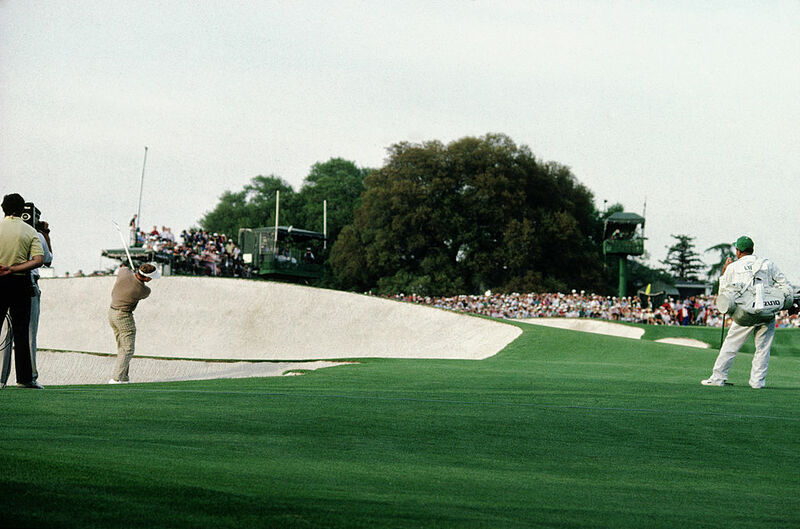 I also had a ringside seat when Jack [Nicklaus] shot 65 to win the Masters in 1986 at 46. It’s a patience game and it’s about getting the ball in the hole. The greens at Augusta are quite big targets, even though the landing areas to certain pins are small. 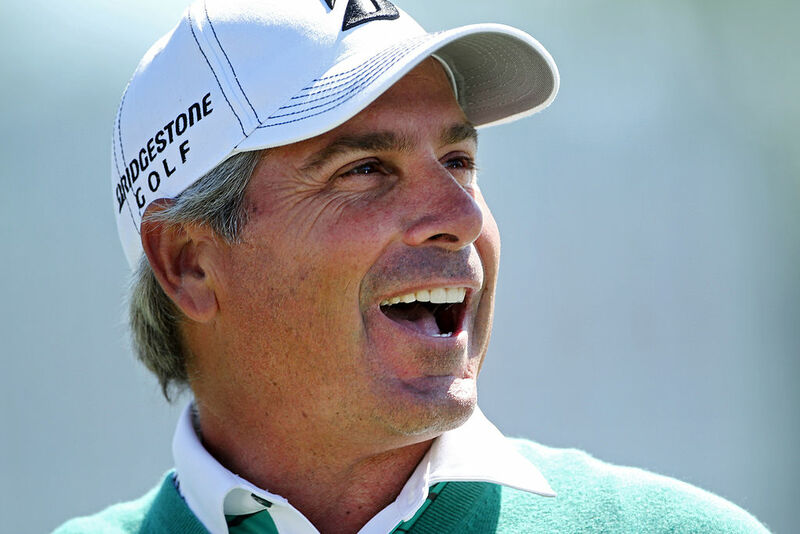 Fred Couples is still very competitive and knows the course well. I might be able to string two good rounds together but I don’t know if I could play 72 at a high standard. Concentration and fitness might become an issue.